The KaRMA2020 project coordinated by CIDETEC has reached its final year. 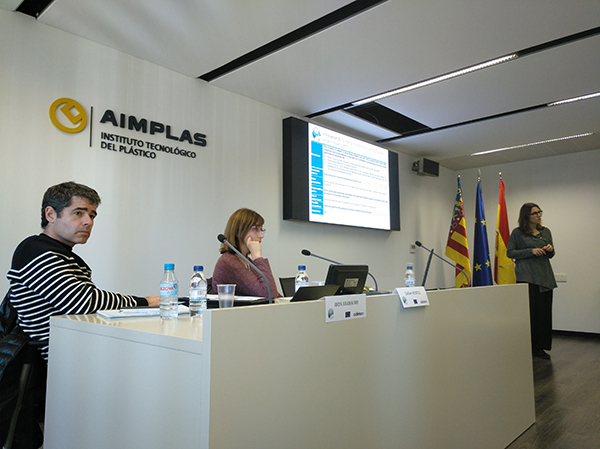 The project, which has already been running for two years, held its monitoring meeting in Valencia (Spain), hosted by AIMPLAS Technological Centre. Currently, it is approaching its final phase, focused on the manufacture of different raw materials obtained from chicken feather on the industrial scale: polyurethane coatings, keratin, bioplastics, fabrics and thermostable resins. The validation of these raw materials will take place during the next project term, for which fertilizers, biodegradable packaging, technical textiles and biocomposites will also be manufactured. In all the products, raw materials of fossil origin will be replaced by others from renewable sources developed in KaRMA2020.